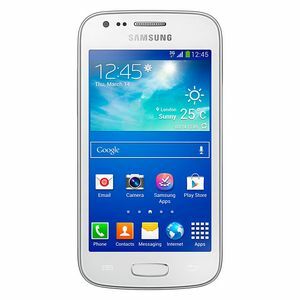 The Samsung Galaxy Ace 3 is a mid-range Android smartphone released by Samsung in July 2013. it's available in two version, one with 3G and one with LTE. The 3G version is powered by a Broadcom 1GHz dual-core processor, with 4GB internal storage and a 1500mAh battery. The LTE version is powered by a 1.2GHz Snapdragon 400 dual-core processor, has 8GB internal storage and has a larger 1800mAh battery. Both have a 4" 480 x 800 TFT LCD display, with a 5MP shooter.